A look of astonishment appeared on a participant’s face at a workshop when I said, “But there is no exercise at the end of the chapters in these textbooks!” “No! How is it possible? I myself saw the same,” he replied and started going through the NCERT textbook on Environmental Studies (EVS) that he held in his hands. He was serious and flipped through the entire book. Meanwhile, other participants also started going through all the NCERT textbooks which they managed to lay their hands on. All of a sudden, the vibrant atmosphere in the hall changed. During this time, the only question in my mind was, how can one interpret this event? Why can we not imagine a textbook without any exercises at the end of the chapters? 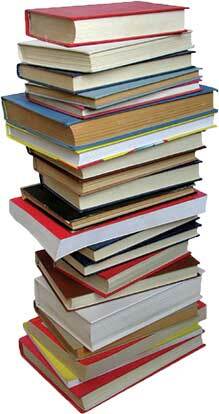 Why is it that an archaic image of textbooks still prevails in our collective perception? It has been about two years since I perceived this among the teachers and education workers in that workshop. These questions stayed with me as I tried to understand that incident. As part of this reflection, I had interesting conversations with several of my acquaintances. To my surprise, many of them confidently expressed their ideas about the exercises which did not exist! However, these informal discussions left me with some serious questions: Have we examined the textbooks produced by NCERT seriously? Have we ever tried to find out how these textbooks are different? Why did the curriculum developers devise this strategy? Why did they change the structure of the chapters by having in-built questions and exercises rather than putting them at the end of the chapters together? I don’t know where we have reached so far in assessing and understanding NCERT textbooks; my experiences, however, recently led me to believe that we need to examine these textbooks more rigorously in light of the questions mentioned above. My belief was further strengthened when I got an opportunity to read the newly developed textbooks of primary classes in the government schools of Uttarakhand and Chhattisgarh. All these textbooks have been published between 2011 and 2013. The opening pages of the textbooks of these two States mention categorically that insights from NCF-05 as well as NCERT’s new textbooks have been the guiding principles for the development of the present textbooks. But this claim turns out to be mere rhetoric as one reads and analyzes these books further. I found that textbooks of both Uttarakhand and Chhattisgarh had followed the tradition of putting the exercises at the end of the chapters deviating from a fundamental shift taken by the same NCERT textbooks which were the source of insights and ideals. I doubt whether the textbook developers understood the relevance as well as the theoretical justification of this shift taken by the NCERT. I believe that we must ponder upon this issue. Is putting the exercises at the end of chapters problematic? It is important to understand that the placement of questions or exercises in the entire structure of a chapter plays a crucial role. The place determines the functions of the same. For example, if you start reading a chapter in some textbook and find a question at the very beginning, we can easily say that the question functions as a tool to open up some issue, to problematize and to invoke some initial thoughts in your mind which will help the author to lead you towards deeper terrain of the issues which are to be discussed in detail later. Similarly, if some exercises are put at the end of the chapter, then that too has a particular function and intention. What is that function or intention? Usually, the exercises at the end of the chapters are meant for evaluation – whether students have learned the things described in the chapter? Evaluation is not a bad thing. Every teacher has to assess her student’s learning. However, it becomes problematic when exercises or questions get their place in chapters only at the end. It is dangerous to have a fixed structure for chapters in a textbook – the title followed by the running text structured under some headings and then, at the end, some exercises. In the past, this particular location of the exercises signified a sort of behaviourist approach towards knowledge acquisition. If a student reproduced the content presented in the chapter by answering these questions or exercises, it can be confirmed that he or she had acquired the knowledge. Whether this content was rote-learned or acquired through a proper understanding is lost somewhere. And the same legacy of evaluation has been carried on even after Independence. The exercises at the end of each chapter in textbooks are nothing but an outcome of the same legacy determining and dictating the content which is supposed to be memorized and regurgitated. How do the new NCERT textbooks dismantle this colonial legacy? The National Focus Group sees the role of textbooks from the colonial period as problematic since the textbooks emerged as an authority sidetracking the teachers, curriculum and syllabus. The NCERT textbook developers (after NCF-2005 most probably during the period between 2007 and 2009) were aware of this legacy. And they have deliberately developed many strategies to dismantle this legacy so that the textbooks can help schools and teachers to instill curiosity in their learners so that they do not become mere rote-learners. So what are the strategies? I believe that one of the radical moves is to change the erroneous structure of chapters and placement of exercises and questions. The exercises are now in-built forming an integral part of the entire chapter. These exercises seek the collective or individual participation of students as well as facilitate them in their journey of knowledge construction. It would be of great help if we look at the transaction of a chapter in a classroom. It emerges as an event, an event of multiple happenings. 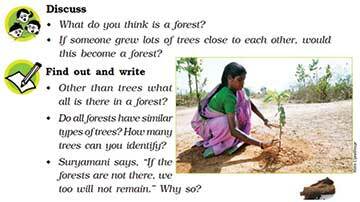 What happens when a teacher and students of a particular class work with a chapter of NCERT’s new textbooks? Not only do they read it together but they also engage in various activities together. They actually engage with the text – read it and deconstruct it. Engage with pictures, sketches, designs and more importantly in-built questions. Here, in all these activities, they are actually engaging with a whole process of knowledge construction, an important aim of education. Before I close, I would like to mention one more point here. It is important to observe that you will never find a particular vocabulary in NCERT’s textbooks which resonates a behaviourist approach of learning. For example, I could not find any such exercises or tasks which are being called as “abhyaas” (practice), “Yaad Karo” (Memorize it), drill, etc. Such language is important here since “practice”, “drill”, “memorize”, etc., convey a particular understanding of human learning wherein it is believed that repeating a task, drilling and memorizing are the means of learning. On the contrary, you will find words and sentences framed thus viz. “Find Out”, “Was that not fun?”, “What we have learnt?”, “Try this”, “Think”, etc. This motivates students into a process of learning so that they can develop into self-learners. This essay has tried to shed some light on NCERT’s strategies by focusing on the place of exercises in the chapters and its relevance in the hope that such deliberation will help in appreciating the efforts of NCERT’s textbooks to imbibe the insights and suggestions observed in NCF-2005. The author works with the Azim Premji Foundation, Jaipur. He can be reached at kuldeep.garg@azimpremjifoundation.org.